Remi Janssens grows up between the silk thread bobbins in his father's weaving mill at the Ghent vegetable market, and later starts a shop for 'all kinds of fabrics' in Deinze. There is no such thing as off-the-peg clothing yet, and customers have their fabrics made into tailored costumes, waistcoats, coats and dresses in the store itself. After the Second World War, Remi's sons, Gaston & Roger, take over Janssens Fabrics. The brothers resolutely opt for women's fabrics, and expand both the store and the wholesale trade. They travel to Italy, Switzerland and France to buy the most beautiful fabrics, and Janssens Fabrics grows into a house of confidence and quality. 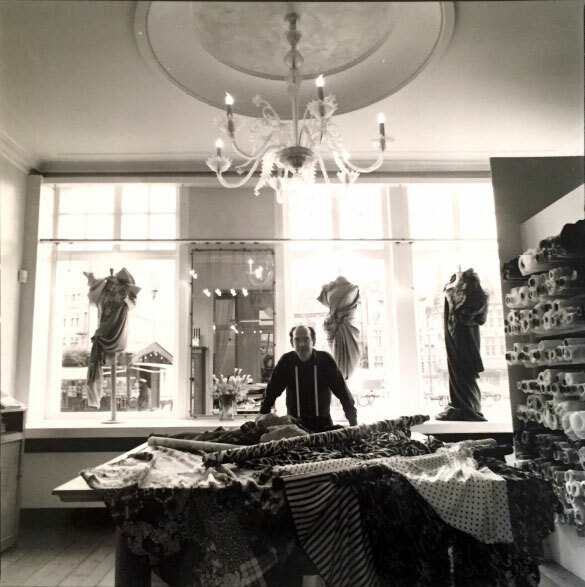 Geert takes over Janssens Fabrics from his father Gaston, and opens a second business in Sint-Denijs-Westrem in 1984. Ten years later, Geert fulfils his father's dream and moves the shop to the Korenlei in Ghent, then a quiet and somewhat forgotten place. Geert and his wife Chantal have since then concentrated on exclusive and high-quality fabrics for private customers. After her fashion education and internships at fashion houses such as Natan, Eva designs her first custom work under the name ‘Kollektie Eva’. 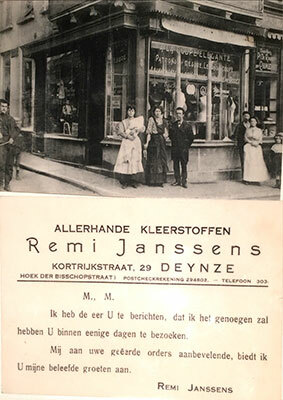 Shop and workshop become increasingly interwoven, and in 2009 the family business starts working under one label: Janssens Fabrics & Tailoring.